The UK sun is a distant memory for the moment but that doesn't mean I'm packing away my Summer scents. 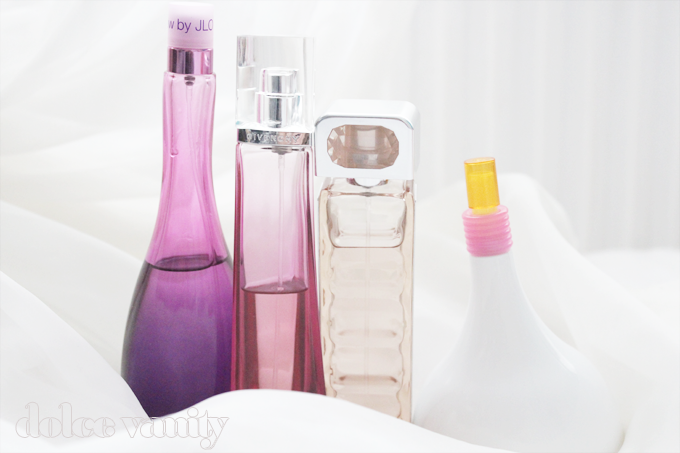 Like most females and males scent plays a big role for us. Whether we know it or not a fragrance becomes a trademark for us come what season or what scents we are most drawn towards! I don't tend to buy more perfume than I can get through just because have you ever seen perfume that's sat in a bottle for years and the smell starts to go of? It's just a waste but come certain seasons I seem to use up quite a bit and often repurchase or discover others. Do you have a favourite summer scent ? Id smell you any day! Thank you, yeah it's true perfume doesn't need to be kept for years. Thanks lovely, Oh yeah Marc Jacobs Daisy is gorgeous, I still need to smell the Miss Dior - feel to go and sniff out the stores lol.